Possible 2020 presidential contender Bernie Sanders, interviewed in GQ, cast a critical eye at moves within the Democratic Party to increase diversity within its ranks. 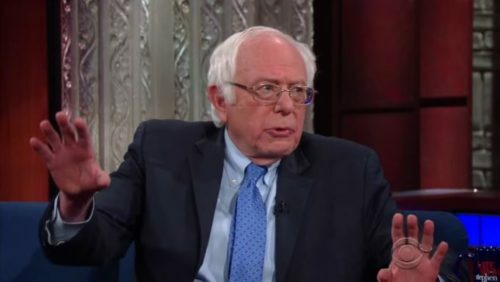 “There are people who are very big into diversity but whose views end up being not particularly sympathetic to working people, whether they’re white or black or Latino,” said Sanders. He did not name anyone in particular. “My main belief is that we need to bring together a coalition of people — of Black and white and Latino and Asian-American and Native-American — around a progressive agenda which is prepared to take on an extraordinarily powerful ruling class in this country,” he continued. Sanders, who is not a member of the Democratic Party, may again be seeking to be the Democratic nomination for President in next year’s race. He lost to Hillary Clinton in 2016, with many pointing to his lackluster ability to appeal to minority voters, particularly black voters. He was also critical of what he called “establishment” LGBTQ groups such as HRC for their 2016 support of Clinton, claiming his record on LGBTQ rights was stronger than hers, and he therefore deserved their endorsement. Nine Democrats have officially said they are running in 2010. Of those, four are women, one is Latino, and one is Black. The out gay mayor of South Bend Indiana, Pete Buttigieg, has also thrown his hat into the ring. Nevertheless, the White House has ramped up attacks on against minority groups in the two years since Donald Trump was inaugurated. This, in part, fueled unprecedented Democratic victories in the 2018 midterms. Meanwhile, many are looking towards fresher faces for 2020, such a Kamala Harris, who announced her candidacy last week, or former Senate candidate Beto O’Rourke.